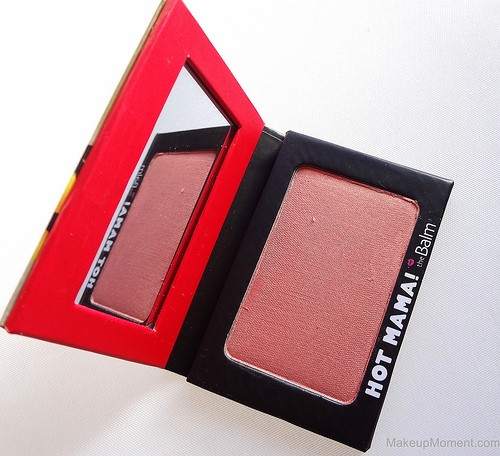 I am sure that many of you have probably already been acquainted with theBalm's Hot Mama! Shadow/Blush ($19.00). This stunner is a shadow, highlighter, and blush all in one. How convenient! Hot Mama! has a cult following, that grows everyday. Many love Hot Mama! and now, I think I know why. Hot Mama! is a gorgeous peachy pink, that contains loads of fine golden shimmers. This beauty comes housed in a rectangular, sturdy cardboard compact, with an easy to open magnetic closure, as well as a handy mirror inside. I am a sucker for pretty packaging and the retro, tropical lady on the cover is a really fun touch. Makes me wish I was on a beach. Now, as for the product itself...AMAZING! Hot Mama! has great pigmentation and a lovely smooth texture, that literally feels like silk, when going on the skin. Very luxurious. On my cheeks, I get the prettiest pop of color that looks natural, and never overdone. I can easily build on the color, too. A light layer creates a pretty flush, or I can go heavier on the application, for a softer intensity. Either way, the results are just stunning, and very natural looking. I do find that the golden shimmers are pretty apparent on the cheeks but, they definitely don't look overbearing at all. They actually give off a luminosity that pairs well with the peachy pink coloring of the blush. Sort of like a highlight. As for lasting power, Hot Mama! sure plays well in that department, holding on all day with very minimal fading. Overall, I am very pleased with Hot Mama! 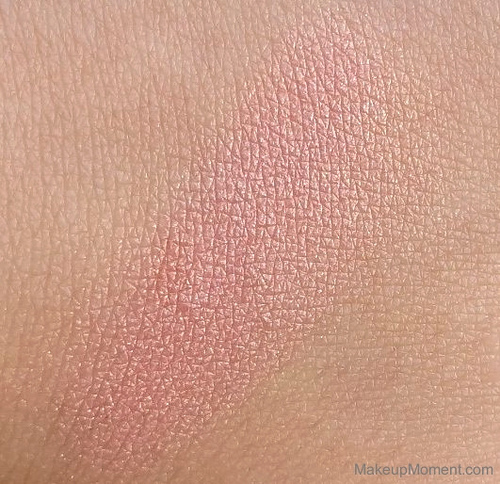 and it has already become one of my most-reached for blushes so far, this summer. I haven't tried Hot Mama! as an eyeshadow color yet but, I have no doubt that it is going to look fab as a quick wash of color on the lids. 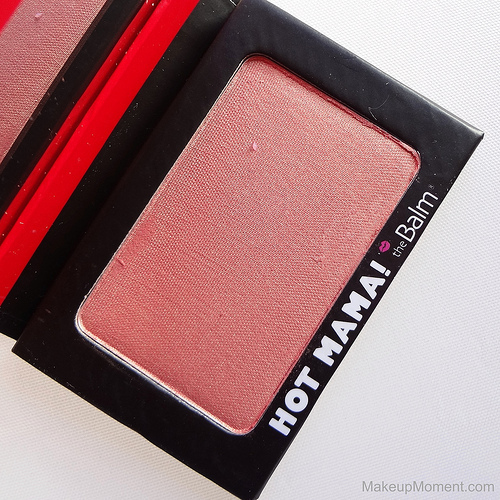 If you love warm, peachy pink blushes that give off a high quality, luminous glow, Hot Mama! has got you covered. What do you all think of Hot Mama! Which are your favorite theBalm products? Disclaimer: My blog is sponsored by Apothica.com. I was provided with a gift card, and I purchased this product with the gift card funds. My reviews are always honest, not influenced, and my own. Oh my look really lovely. Thanks, Elizabeth! 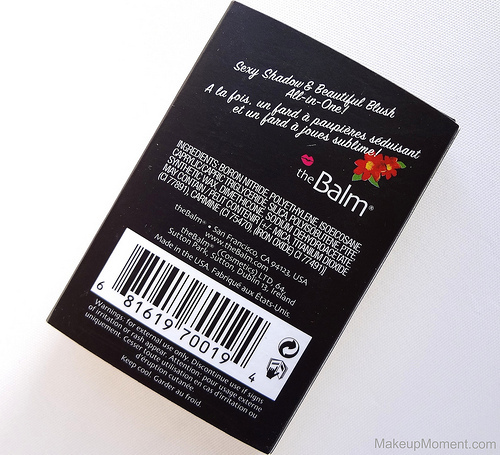 Have you tried any products from theBalm, before? If you have, what did you think of them? Thanks, Aly! OOOO, I haven't tried Frat Boy. But I think I want to try all of the theBalm cheek colors. This product impressed me so much, that I am sure they are all gorgeous!